Only ONE more day until Thanksgiving. My goal this week has been to point out positive lessons we might learn from a more accurate encounter with the Pilgrims’ story. Today I tackle the question of why the Pilgrims really came to America and what we might learn from their experience. 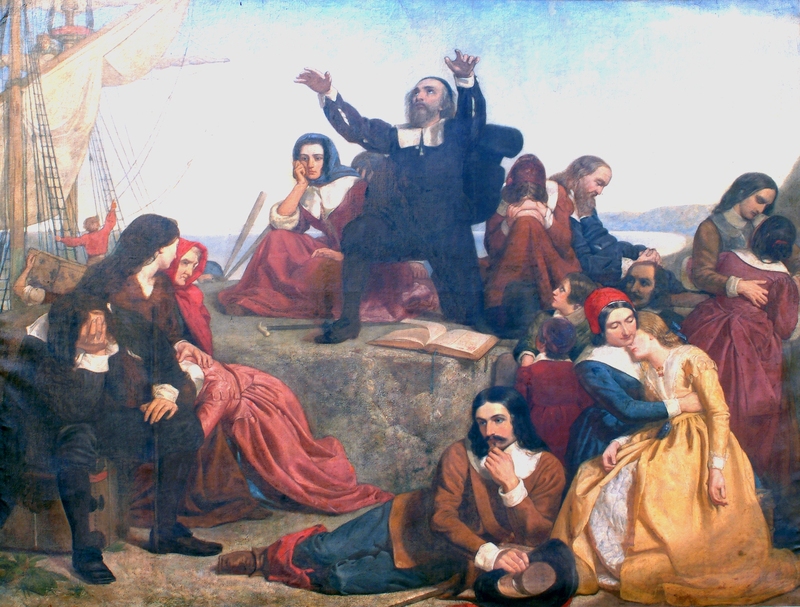 In explaining the Pilgrim’s decision to leave Holland, William Bradford stressed the Pilgrim’s economic circumstances more than any other factor, but it is important that we hear correctly what he was saying. Bradford was not telling us that the Pilgrims left for America in search of the “American Dream” or primarily to maximize their own individual wellbeing. Thanksgiving is a week from today, and in keeping with a time-honored custom dating to 2013, I am bombarding you with posts on the history of Thanksgiving. 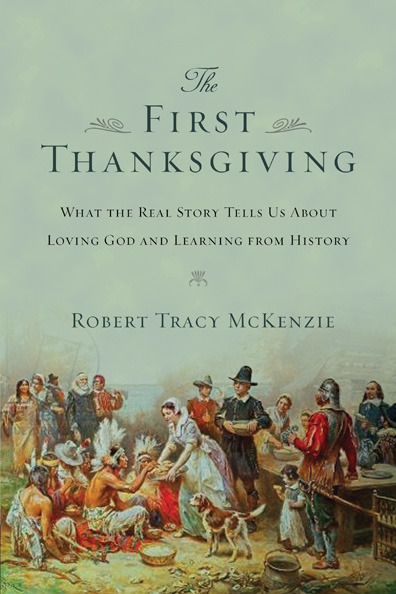 Most of them draw to some degree from my book The First Thanksgiving: What the Real Story Tells Us about Loving God and Learning from History. Below is an essay that originally appeared in the Washington Post. The Post runs a regular feature each Sunday identifying popular myths about some misunderstood individual or event. I sketched out a long list of possibilities for the editor, and she chose the five that made it into print. When it comes to historical memory, the old saying that you can’t choose your relatives is just plain wrong. Americans have chosen the Pilgrims as honorary ancestors, and we tend to see their story as inseparable from the story of our nation, “land of the Pilgrims’ pride.” We imagine these honorary Founders as model immigrants, peace-loving and pioneers in the democratic experiment. We have burdened them with values they wouldn’t have recognized, and shrouded their story with myth. Here are five of the most common myths about the Pilgrims. 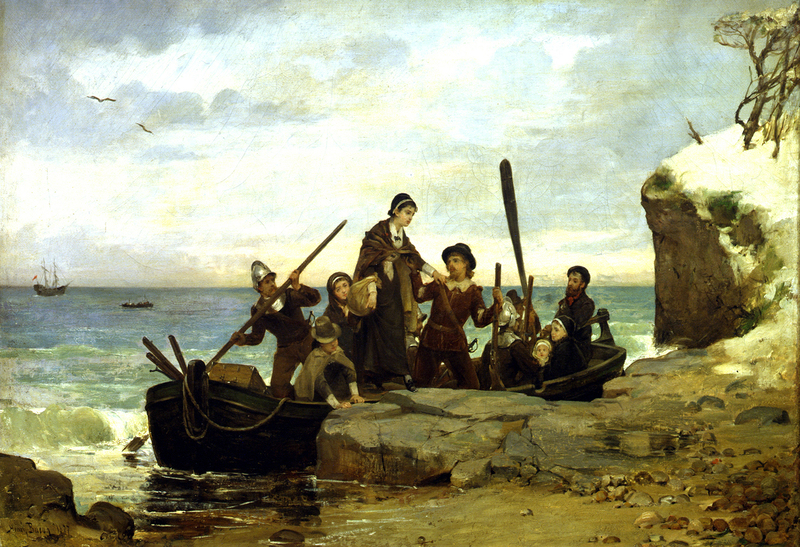 “The Landing of the Pilgrims,” Henry A. Bacon, 1877. 1) The Pilgrims landed at Plymouth Rock. If you visit Plymouth today, you’ll find a distinctive rock about the size of your living-room sofa embedded in the sandy beach, sheltered by a classical Greek portico and labeled with a sign erected by the Commonwealth of Massachusetts proclaiming,”Plymouth Rock: Landing Place of the Pilgrims.” It’s not hard to picture simple English folk huddled on that rock, envisioning through eyes of faith the great nation that would spring from their humble beginning. Except that’s probably not what happened. We “know” the location of the Pilgrims’ landing because in 1741 -121 years after the Pilgrims arrived – a 15-year-old boy overheard 95-year-old Thomas Faunce relate that his father, who came to Plymouth three years after the Mayflower, told him that he’d been told by unnamed persons that the landing occurred there. Curiously, William Bradford never mentioned Plymouth Rock in his history “Of Plymouth Plantation,” and if the expedition landed there he seems not to have noticed. 2). 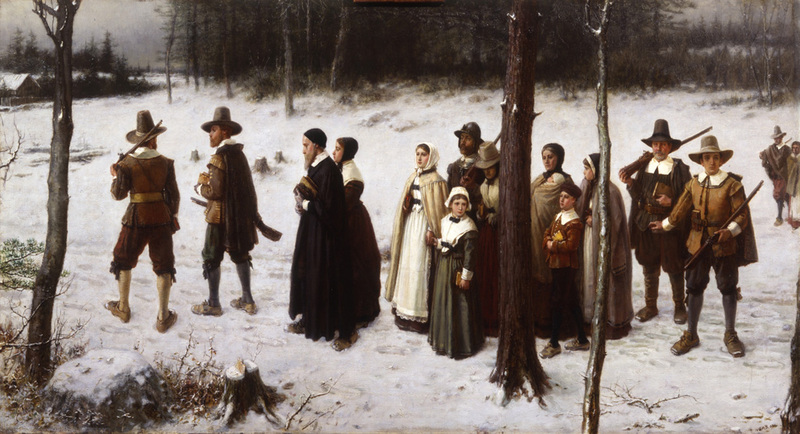 The Pilgrims came to America in search of religious freedom. It’s fair to say that the Pilgrims left England primarily to find religious freedom, but that’s not the primary motive that propelled them to North America. Remember that the Pilgrims went first to Holland, settling eventually in the city of Leiden. There they encountered a religious tolerance almost unheard of in that day and age, and Bradford and Edward Winslow both wrote glowingly of their experience. In Leiden, God had allowed them, in Bradford’s estimation, “to come as near the primitive pattern of the first churches as any other church of these later times.” God had blessed them with “much peace and liberty,” Winslow echoed. If a longing for religious freedom had compelled them, they likely never would have left. But while they cherished the freedom of conscience they enjoyed in Leiden, the Pilgrims had two major complaints: they found it a hard place to maintain their English identity, and an even harder place to make a living. In North America they hoped to live by themselves, enjoy the same degree of religious liberty, and earn a “better and easier” living. 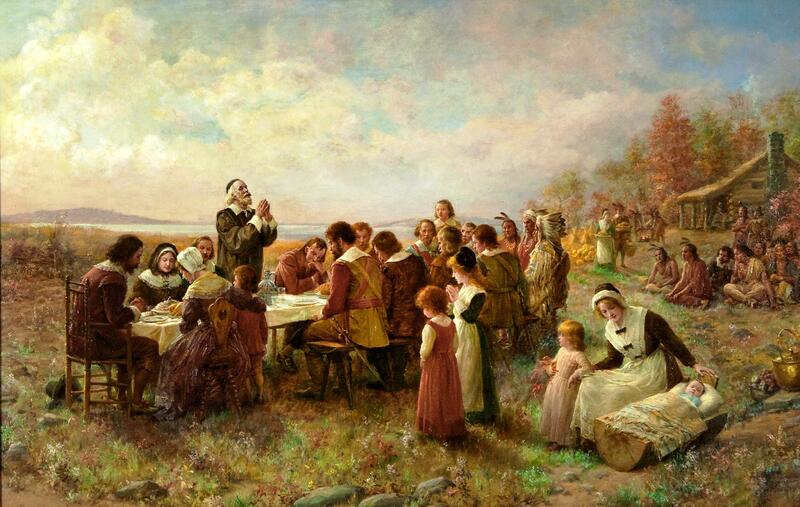 3) The Pilgrims’ autumn celebration in 1621 was the First Thanksgiving. No one seriously believes that the Pilgrims were the first to stop and thank their Creator for a bountiful harvest. Native Americans had a long tradition of thanksgiving celebrations. 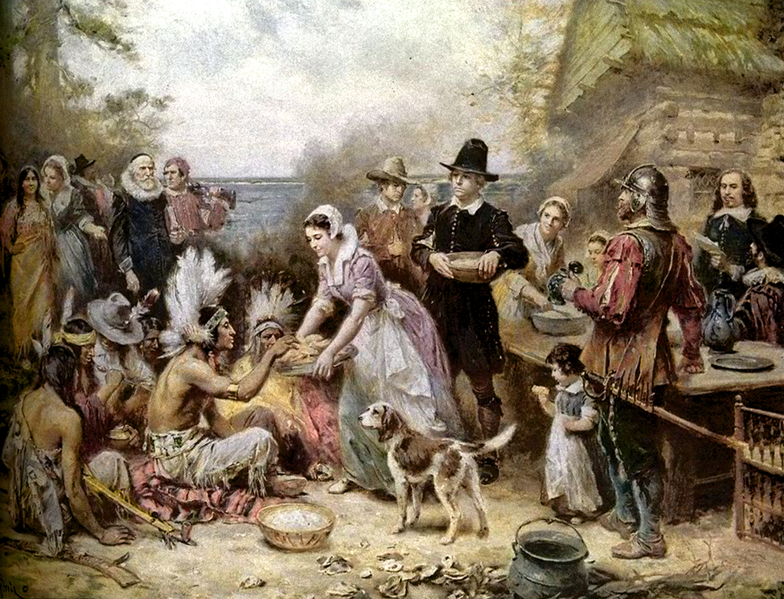 The Algonquian people, for example, participated in regular ceremonies linked to the crop cycle, while the nearby Wampanoag annually celebrated the first harvest of the new season with a “strawberry thanksgiving.” Europeans who arrived in North America prior to the Pilgrims likely also engaged in such observances. There is evidence of a thanksgiving service held in 1564 near present-day Jacksonville, Florida by French Huguenots-at a time when only two of the Pilgrims had even been born. The very next year Spanish documents refer to a thanksgiving mass celebrated at St. Augustine by conquistadores (who would soon slaughter the nearby Huguenots). Texas historians insist that Spanish colonists celebrated thanksgiving with the Manso Indians near present-day El Paso in 1598, not early enough to beat out Florida but still a generation before the celebration in Massachusetts. Among English settlers, there is evidence of a thanksgiving celebration in 1607 at a short-lived colony on the coast of Maine, and of two others among Virginia colonists in 1610 and 1619. More importantly, if the Pilgrims’ 1621 celebration was far from the first Thanksgiving, from the Pilgrims’ perspective it was not a Thanksgiving at all, but rather a kind of autumn harvest festival. As the Pilgrims understood it, a genuine Thanksgiving was a solemn observance to be observed irregularly, a “holy day” devoted to worship in acknowledgment of a specific, extraordinary blessing from the Lord. 4) The Pilgrims were a humorless lot with a fondness for black. With more wit than historical accuracy, H. L. Mencken famously defined “puritanism” as “the haunting fear that someone, somewhere may be happy.” Modern Americans bought in to the stereotype, so that we regularly picture the Pilgrims as if they were on their way to a funeral, their solemn behavior matched by a somber wardrobe. When we read Winslow’s description of the Pilgrims’ 1621 harvest festival, however, we’re transported to a scene of beer and barbeque, shooting and sports. And forget about the ubiquitous black outfits. In fact, the Pilgrims had a taste for a wide range of bright colors. Estate inventories in Plymouth Colony reveal abundant references to red, blue, green, yellow and orange garments. Carpenter Will Wright, for example, upon his death left a blue coat and two vests, one white, the other red. William Bradford’s estate inventory showed that the long-term governor owned a “colored” hat, a red suit and a violet cloak. Pretty gaudy, actually. 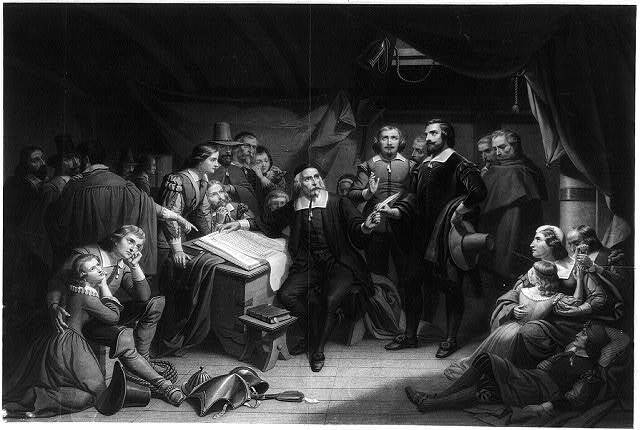 “The Pilgrims Signing the Compact, on Board the Mayflower,” engraving after a painting by Tompkins Matteson, 1859. 5) The Pilgrims’ Mayflower Compact was an early and noteworthy example of American democracy. Americans have loaded this document with far more significance than it’s worthy of. We read it selectively, zeroing in on the parts where the signers commit to form “a civil body politic” and agree to formulate “just and equal laws . . . for the general good of the colony.” But it is no accident that the Compact begins with a description of the signatories as “the loyal subjects of our dread sovereign lord, King James.” Having been blown off course en route to America, the Pilgrims were about to settle some 200 miles north of the northernmost jurisdiction of the Virginia Company, authorized by King James I to coordinate colonial ventures along the Atlantic seaboard. It was quite possible they were committing an illegal act in the eyes of the Crown. But they made a point of assuring James of their unquestioned loyalty. They also identify him as their king not by virtue of their consent, but “by the grace of God.” This puts the Mayflower Compact closer to an affirmation of the divine right of kings than of the right of self-rule. Thanksgiving is barely three weeks away, and so I plan on bombarding you with more than a few posts that draw from my book The First Thanksgiving: What the Real Story Tells Us about Loving God and Learning from History. Below is an essay published this time a year ago in the Washington Post. The Post runs a regular feature each Sunday identifying popular myths about some misunderstood individual or event. I sketched out a long list of possibilities for the editor, and she chose the five that made it into print.